So you want to surprise them with a couples massage? Cute! And totally romantic (if that’s what you were going for). Couples massages are not exclusive to romantic partners – you can buy them for you and your BFF, make a mother-daughter bonding session out of it, or buy it for another couple entirely (like as a wedding gift). When it comes to surprises, something like a couples massage can get a little tricky. For one thing, you have to make sure everyone’s schedules align perfectly. Fortunately, Blys mobile massage therapists can come to your location – so that takes travel out of the equation for you! So whether you’re having a chilled night at home or a romantic evening in the city, your surprise couples massage is one step closer to being a great success. In order to make sure the rest of it runs smoothly, here are the 5 steps to planning the ultimate couples massage. First and foremost, you need to set your date. If you’re booking this massage for you and someone else, it can be as simple as asking them when they next have a free day. When booking for other people, like your parents or friends, it can take a bit more sleuthing. You’ll have to work out what days they’re both free without arousing any kind of suspicion (gotta keep that surprise factor). Once you’ve locked in your date and location, book your couples massage. As with planning all things, it’s ideal to book as early as you can so that everyone has time to reserve dates and get organised. There’s nothing worse than having your surprise become a total flop because someone pulled out or dates fell through – so hit up the calendar! You’re arranging a surprise couples massage for you and your significant other: it’s your anniversary, and you want to make night out of it. You’re thinking dinner, a massage, a couple of wines, maybe a film and that cake you’ve got in the works. Fantastic – all of the ingredients for an incredible night. Hold your horses! Just like with a regular recipe, the order of these ingredients is important, especially when there’s a level of intimacy involved. You don’t want to launch into a couples massage straight after that six-course degustation. Your massage therapists will always strive to make you as comfortable as possible, but when you’ve got a stomach full of sirloin steak, mushroom risotto and pinot noir, things are going to feel not-so-great. A couples massage should be either the first thing or the very last thing you do. Say you arrange for your massage therapist to come to your hotel at 3pm. Your significant other is elated – “this is so romantic and relaxing and such a wonderful teaser to a great anniversary, Jerry!” Your therapist leaves at around 5pm, so now you both have enough time to get pretty before that 6:30pm dinner reservation. From there you can head to your 8:40pm film, and then back to the hotel to finish it all off with that scrumptious cake. Mission accomplished! On the flip side, you can have your couples massage later, when you get back from your film (psst…Blys mobile massage therapists are available until 11pm 7 days a week). 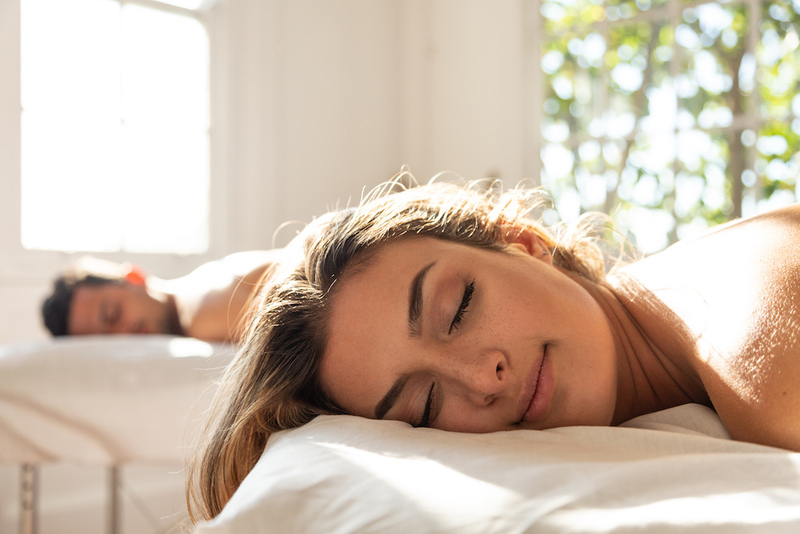 Indulging in that blysful massage right before you head to bed will set you up for an amazing night’s sleep. It’s also the perfect topper on the anniversary cake and your significant other definitely won’t be expecting that final surprise. Nailed it! To make the couples massage extra special, you could set up the space to maximise the romance, relaxation or whatever vibe you’re going for. Think the classic petals on the bed and champagne on ice if you’re going for affectionate expression. Otherwise a bit of mood music, a cheese platter and some scented candles are a surefire way to hit that relaxation target. Upon your therapist’s arrival, you may want to dim the lights or pull the blinds closed. As long as your therapist can still see what they’re working on, there should be no problem. Also have a chat with your therapist about any aromatherapy elements you may want to add to your massage to really set up the senses. You want the recipient of this massage to be surprised, and not taken aback. Make sure both of you are in some kind of position to be ready for your massage when its due. 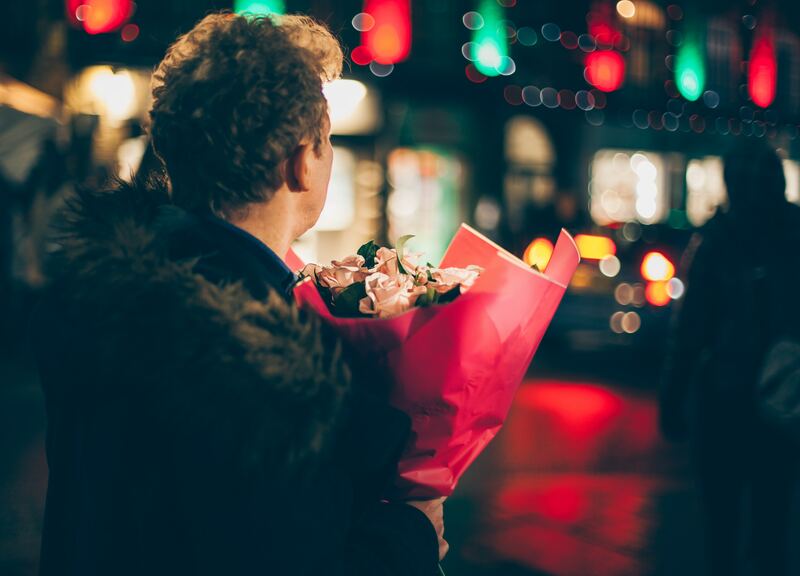 If you’re in a romantic setting, we totally get that things can get a bit exciting – just don’t forget the plan! You can choose to have a single therapist provide back-to-back massages, or two therapists work simultaneously. However you want to go about it, booking with Blys makes executing the perfect surprise easy. If it’s you on that table, it’s time to relax. Your job is done and it’s gone off without a hitch, great job! Now that everything has fallen into place, you can switch off and enjoy your massage. It’s important to enjoy the time you spend on the table – that’s what you’re there for, after all. A couples massage can be a very intimate thing for everyone involved. It leaves you open and calm and free to enjoy each other’s companionship. You can talk throughout your massage if you wish, or you can just stay quiet and enjoy the serenity and sensations. Whatever happens, don’t feel pressured the wrong way. Imagine going to all the effort to plan the perfect surprise only to spend all of your own time on the table worrying if other person is enjoying it! Just allow yourself to be immersed in your massage and your partner will do the same. The best part about providing a couples massage as a gift is that it’s a surprise every time. Unlike buying your significant other or best friend a gift for every occasion, massages don’t accumulate dust sitting on a shelf. If anything they have the opposite effect, relaxing the body and giving it the attention it may just need. So while flowers can be beautiful and a teddy bear is a lovely gesture, a full-body pamper session has a unique and positive impact on the body and the mind. These days everyone has come to expect the typical roses and chocolates – and there’s nothing wrong with that! But if you’re really looking for a meaningful gift for someone, or even a way to spice up your own relationship and show someone that you care for their wellbeing, a couples massage is a great idea. Previous PostSwedish Relaxation Massage: The Best Form Of Stress Relief?